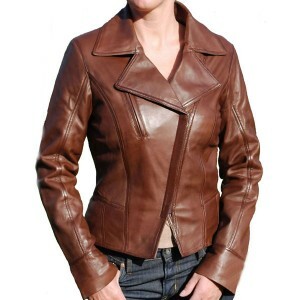 Ladies Cross Zip Brown Biker Leather Jacket from Leather Jackets USA is an iconic style soft leather jacket. 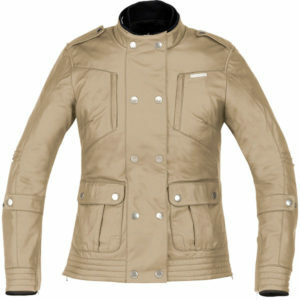 Bikers normally love to wear this kind of luxurious jackets. 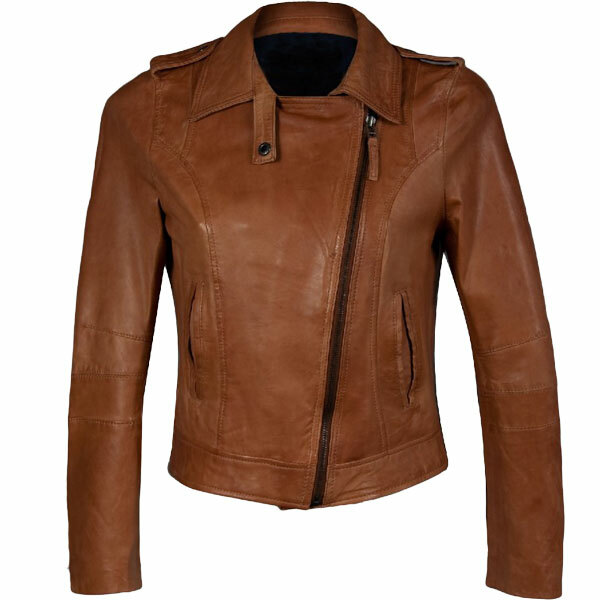 Asymmetric zip closure of these brown biker leather jackets are the most demanding and favorite among men’s as well as in women’s bikers. Its design not allow air to enter into the jacket during riding and keep bikers warm in winter season. 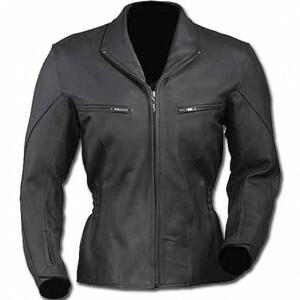 Women riders can wear it as casual dress too. This brown women biker jacket asymmetrical zip front closure and elegant design make it prominent among all other bikers jackets for ladies.